David Ranan: A Land to Die For? Throughout Israel’s embattled history, it has been a badge of honour to serve in the country’s armed forces. For obvious reasons, public expressions of conscientious objections, draft dodging or anti-war sentiments have been virtually non-existent. While objections to the draft remain relatively marginal, there has been a change among Israeli youth and some members of the Israel Defence Forces. This shift developed as the nature of threats against the country have evolved since the 1967 and 1973 wars. Policing civilians in an occupied territory has become one of the primary tasks of conscripted and reserve troops. This is made more complex by the presence in the West Bank of 300,000 Jewish settlers. There is no better way to gauge what young Israelis are thinking than to sit down with them and record their answers and thoughts to open-ended questions. That is what investment-banker-turned-author David Ranan has done in his fascinating and thought-provoking new book, A Land to Die For? 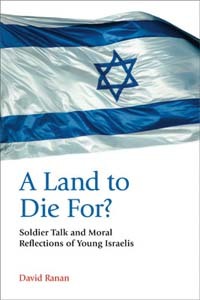 Soldier Talk and Moral Reflections of Young Israelis (Theo Press, London, 222 pp.). They open up, often using slang expressions, to discuss their thoughts and moral concerns with remarkable candour and a maturity you would not normally expect from respondents as young as 18. Ranan starts with a capsule history of the country, including references to such groups as the far-left Yesh Gvul (There is a Border/There is a Limit), which sprung up in 1982 as Israel invaded southern Lebanon. It got 3,000 reserve soldiers to sign anti-occupation petitions and 150 were court-martialed for refusing to follow orders. In 2003, 20 reserve pilots caused a stir when they announced they would refuse to carry out assassination missions. Then 13 members of the elite Sayeret Matkal commando unit said they’d refuse to serve in the West Bank, where they said their actions would deprive Palestinians of basic human rights. As Ranan points out, civilian national service is possible for those who are exempted, which include male Yeshiva, or seminary students, and married women, but it is not considered an alternative to military service. He notes that many highly motivated students, male and female, look forward to their military service and will compete, even train on their own time, to get into elite combat units. While avoiding the draft or refusing to serve in specific tasks is no simple matter, as Ranan points out, draft-dodging is out there as a possibility, even though it can put so-called refuseniks into the margins of society. As some of the interviewees point out, those who are troubled by the occupation and do not want to participate in maintaining it are faced with a heavy moral dilemma—accept the burdens of being a young Israeli alongside most of their friends, or follow their conscience? Matan had misgivings about serving in the army, and after a year of community service, saw a mental health officer and said he was confused. He was released. There are those who argue that with the geopolitical situation with its neighbours, which could change radically, Israel is not threatened with a ground war and could function as a professional army without conscripts. This is what happened in the U.S. after the draft evasion during the controversial Vietnam War. 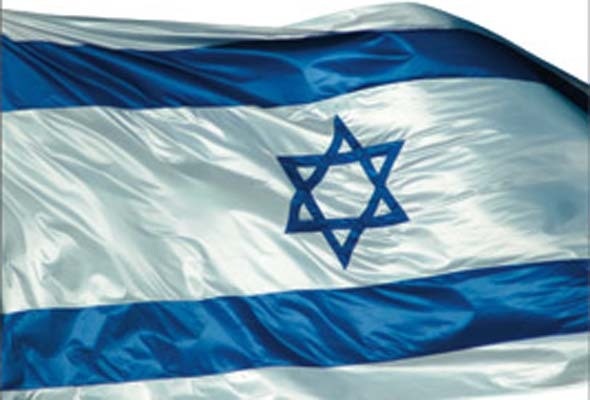 Would such a transformation spell the end of one of Israel’s patriotic cornerstones? Ranan’s subjects raise this and other issues. Some can’t stand the way Border Police—where Israelis can chose to serve—manhandle and needlessly harass Palestinians at checkpoints. But what stands out is the deep humanity, conflicted instincts and measured thoughts of those interviewed, such as these poignant remarks from Ronen, a 30-year-old entrepreneur who serves on reserve duty. These are compelling testimonies, framed by Ranan with balanced and insightful commentary. The book, with interviews translated from Hebrew, is available at Amazon.ca. $14.15. Be the first to comment on "Book review: A Land to Die For? by David Ranan"